Copyright law is a scary subject for Authors. At Quignog, we try to unravel these puzzles for you. Let’s go through a series of questions along with their answers that will shed light on the subject. The answers are extremely simplified, and are for basic understanding only. Also, they pertain to books only. We will refer to the Indian Copyright Act 1957 (referred to as the Act in this page) extensively in answering all our questions. Please find attached the complete act in our resources section for further reference. It is pertinent to note that, Copyright shall subsist in any work, published within the lifetime of the author until sixty years from the beginning of the calendar year next following the year in which the author dies. (Section 22 of the Act). After this period the work enters the public domain and the author's heirs or assignees cannot claim any Copyright on it. 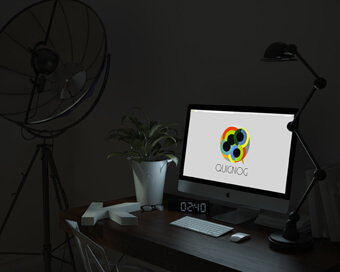 At Quignog, we ensure that your work is thoroughly Copyright protected. According to the Section 2(d) (i) (d), for a literary work it is the person who authored the work, more easily understood as the original writer of the work. The original author of the original work is also the First Owner of Copyright (as per section 17 of the Act), unless the book has been written under a course of employment or service by the author. In our case, the Book and all its contents are collectively called the Work. How can an owner of Copyright grant publishing rights to a publisher? Assignment of Copyright (section 18 of the Act): The assignment of Copyright can be done for the work, wherein after the person/ company to whom the assignment is done, shall become the owner of the Copyright. The part which has been assigned, as to the extent of such terms and conditions so agreed, the Author shall not be the owner of the Copyright. The assignment can be done for a certain period, for specific territorial locations, and/or for specific form of utilization. Licenses by owners of Copyright ( Section 30 of the Act): We at Quignog, believe that the Author is the rightful and moral owner of the Copyright of his work and to take that away in any form is violation of his fundamental right. It is purely an industry malpractice. We highly encourage authors to understand their rights and opt for licensing Agreements that protect their rightful claim over the Copyright all through. The owner of the Copyright in any existing work may grant any interest in the right by license in writing by him or by his duly authorised agent. Term of Copyright: All assignments and licensing can be done for a specific period of time. It can range from a short term to the full term of Copyright which is 60 years after the death of the author. Territory: Assignment/Licensing can be done for a specific geographical location. This will give the publisher right to issue copies of the work in the specific location only. Scope: Assignment/Licensing can be restricted in its scope, like excluding/including translations, adaptations etc. How do I become the Copyright owner of my original work? The Author, by virtue of writing an original manuscript, becomes the first owner of the Copyright in that said work. Copyright comes into existence as soon as a work is created and no formality is required to be completed for acquiring Copyright. Once the work is published, the author's Copyright in the work is defined and established to the public. For the sake of protection from infringement before the book is published, authors can register their work at the Copyright Office. The Copyright Office has been set up to provide registration facilities to all types of works and is headed by a Registrar of Copyrights and is located at B.2/W.3, C.R. Barracks, Kasturba Gandhi Marg, New Delhi- 110 003, Tel: 338 4387. Please find the form attached below, called the 'Copyright registration form' and do the needful. At Quignog, we can provide you the registration service. Where can I read the Indian Copyright Act 1957? The Copyright as amended in 2012, has been uploaded below for your easy reference. The author of a work has the right to claim authorship of the work and to restrain or claim damages in respect of any distortion, mutilation, modification or other acts in relation to the said work which is done before the expiration of the term of Copyright if such act would be prejudicial to his honour or reputation. These moral rights are available to the authors even after the economic rights are assigned. They are independent of the author’s Copyright and remains with him even after assignment of the Copyright.